On This Tiny Island of Japan, People Live to 100+. Here's How. On This Tiny Island of Japan, People Live to 100+. Here’s How. Okinawans have the lowest rates in the world for the three leading causes of death: heart disease, stroke and cancer. How's this possible? Beyond the southernmost tip of Japan lies an island known as the “Island of Immortals”. They haven’t found the fountain of youth, but the elders of Okinawa seem to know the secret for living a long, happy life. The average Okinawan man lives for 80 years, and women for 86 (that’s about 6 years more than the average for the United States.) And that’s not all— there are four times as many people over 100 there than anywhere else on the globe. Incredibly, these Japanese islanders are 80% less likely than westerners to have coronary heart disease, or breast or prostate cancer, and have the lowest rates in the world for the three leading causes of death: heart disease, stroke and cancer. “Old-age” diseases such as Alzheimers are almost unheard of, even though there is a high percentage of elderly residents. 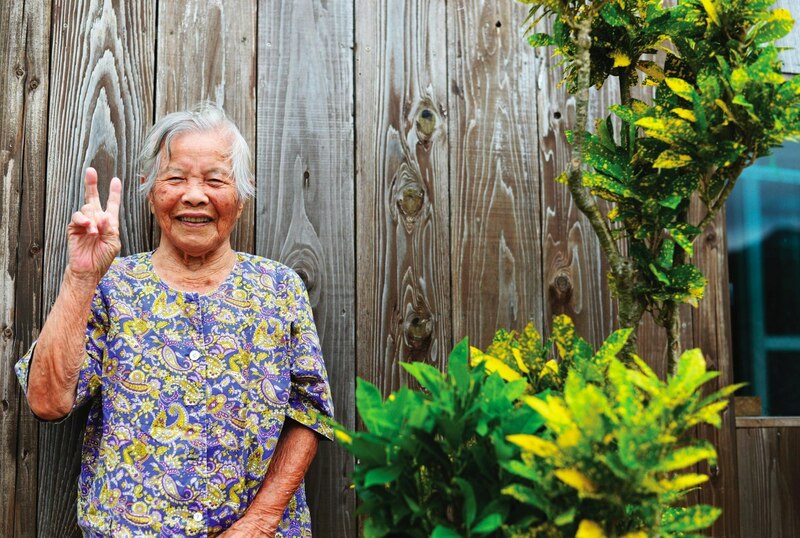 Dr. Craig Willcox, Professor of Gerontology, and Co-Principal Investigator of the Okinawa Centenarian Study, says that Okinawans have genetic factors that help them reach a higher ages. He has been living in Okinawa and studying centenarians since 1994. But genetics are not the only factor that increases longevity. “What’s driving the increase in centenarians is mainly a lifestyle phenomenon,” he says. “We have much better healthcare; the Japanese diet, particularly the Okinawa diet, has always been a healthy diet.” Studies have shown that most Okinawans who have migrated to other countries have become just like the rest of us, despite their genetics. The so-called “Okinawa diet” has gained international fame as people around the world adopt Japan’s super-food rich cuisine in an attempt to eat their way to a century. People in on the tiny island eat what is available to them— and most of the time their food is fresh and raw. Whole soy foods, such as tofu, have accounted for a large portion of their meals for centuries. A warty-looking cucumber called bitter melon, rich in nutrients, is one of the island’s most popular vegetables. Sweet potatoes, seafood, and seaweed are also part of this 96% plant-based diet. Perhaps there is something to be said about the air quality of this lush, green island in the East China Sea. In Ogimi, there are few large factories and vehicles, so pollution is kept at a minimum. The warm climate makes it possible to enjoy outdoor exercise and activities year-round. Ironically, although it is one of the poorest towns in the area, Ogimi has the highest life expectancy. As of 2011, there were 12 centenarians in this village alone. Let us keep going strong as we get older, and not depend too much on our children in old age.